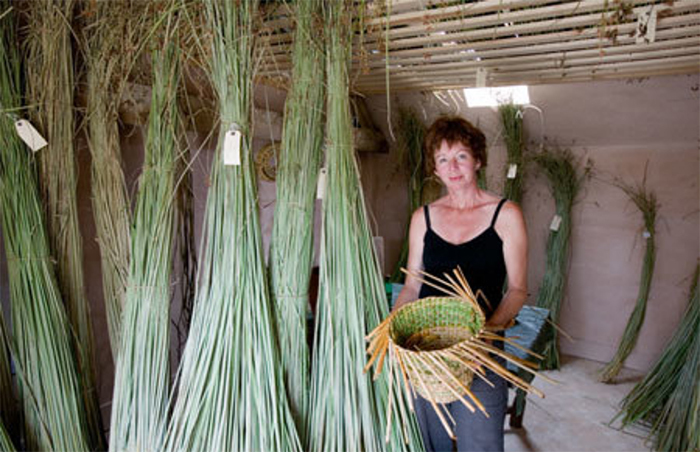 Anna Lewington and her Rushworks project, reviving the traditional craft of rush cutting and rushwork. Photo: Edward Parker. In the latter half of the conversation we progress to talking about Anna’s latest work, simply called “Birch”, a new book about the cultural significance of birches. There’s a lot to talk about here. Birches are incredibly useful species. Our conversation highlights many traditional uses including clothing, footwear, shelters, basketry and containers, to moose calling and all the way through to the iconic birch bark canoe. 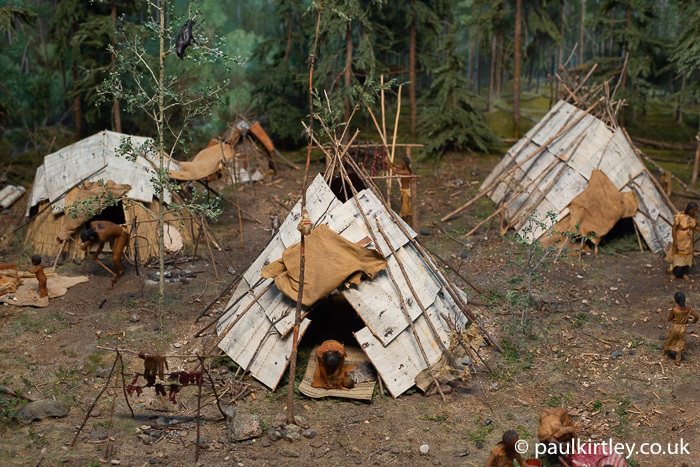 Diorama at the Manitoba Museum showing birch bark covered shelters of boreal forest First Nations during the woodland period. Photo: Paul Kirtley. And that’s just birch bark uses. From there our conversation extends through birch tar, birch syrup and uses of the timber through to the usefulness of allied fungi such as birch polypore, horse’s hoof fungus and chaga. This leads us neatly on to medicinal aspects both of these fungi and the birch species that host them. 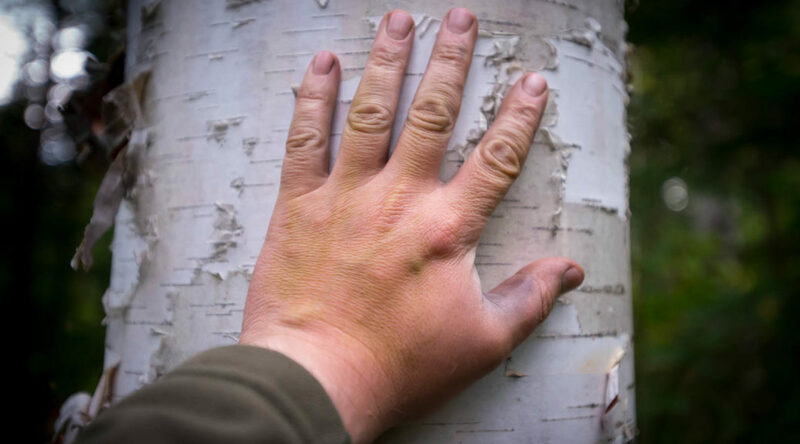 We also touch on the importance of birches in their ecosystems and the wildlife that relies on birches. 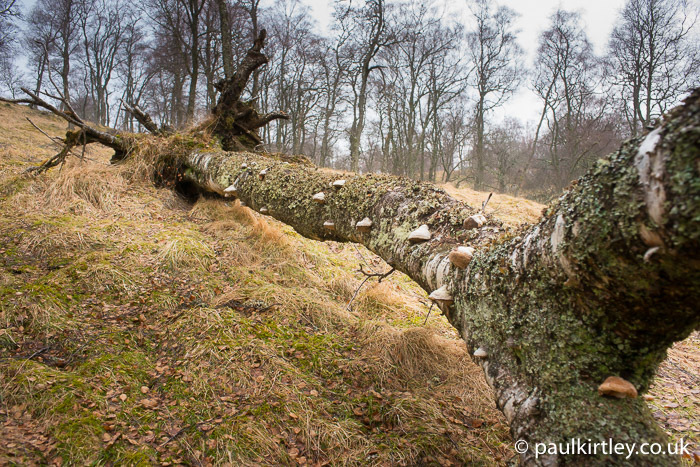 Fomes fomentarius, horse’s hoof fungi, growing on a fallen birch near Braemar, Scotland. Photo: Paul Kirtley. 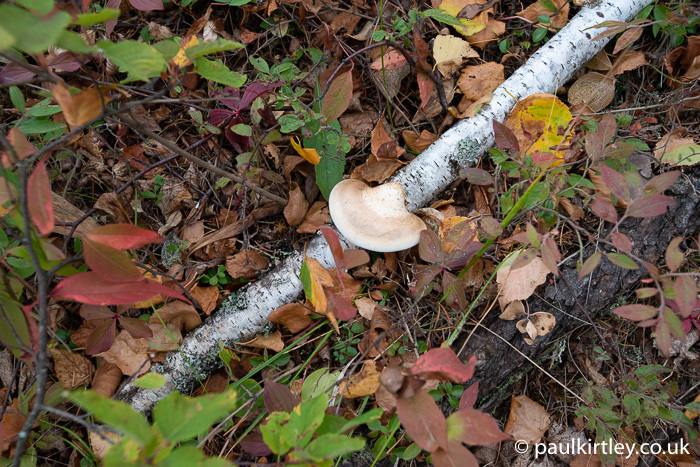 Fomitopsis betulina, the birch polypore, growing on dead birch in Manitoba, Canada. See below for a journal article referencing this fungi’s modern biotechnological potential. Photo: Paul Kirtley. 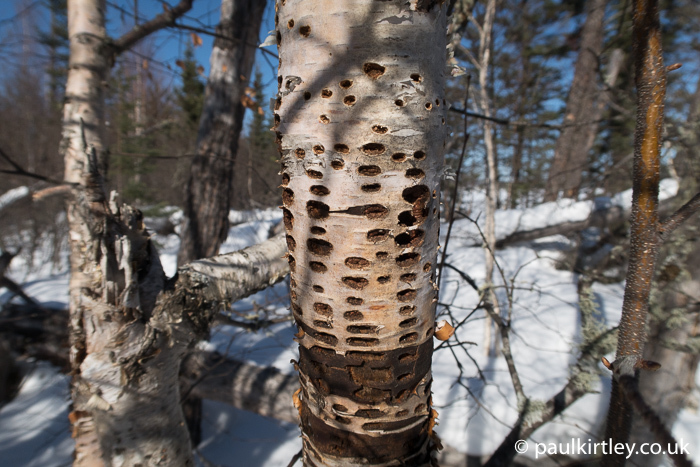 Sapsucker holes in a birch in the wilderness of Northeastern Ontario, Canada. Photo: Paul Kirtley. 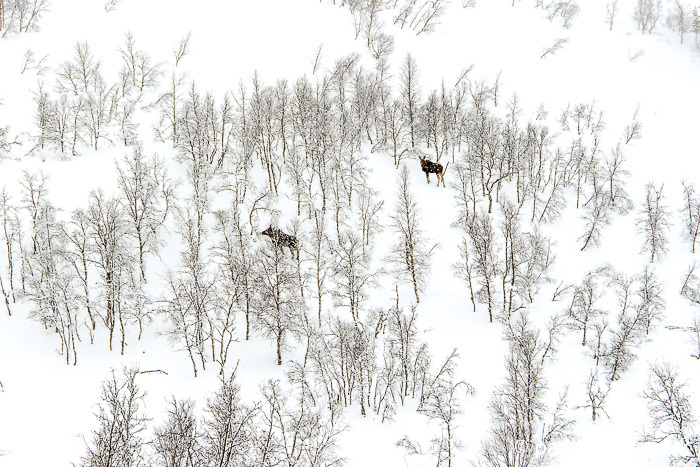 Moose browsing on birches in Norway. Photo: Paul Kirtley. More recently, Anna has also been documenting rituals and celebrations involving food plants, ranging from leek championships in England, to chestnut festivals in Corsica through to the Mexican “Night Of The Radishes”. You can also subscribe on iTunes and on Stitcher, on Player FM, Radio Public, or via my podcast-only RSS feed. I have just listened to the podcast with Anna No 35, what a great listen, so very interesting about the birch and all the parts associated with it, I have tapped and drank the sap and most of my spoons and kitchen implements come from the silver birch, but the depth of knowledge Anna has is wonderfull and her passion shines through in her voice. I found a lot more uses for the birches and look forward to reading her new book. Nice to hear from you here on my blog. I’m glad you liked this podcast with Anna. Thanks for taking the time to let me know and for your additional comments. I have to say I thoroughly enjoyed listening to this Paul. I think Anna came across beautifully. I’ll be looking out for her latest book. Many thanks to both you for taking the time to produce this. It’s good to hear from you. Thanks for letting me know you enjoyed this listen a lot. Really lovely listening to you both enthuse about a wonderful tree, amazing how useful and integral the birch has been. Thank you. Another brilliant podcast paul, thank you. I really enjoyed listening to this and found the whole interview very well done; it was like I was in the room there with you (which is a bit wierd if you now where I am when I listen). This was very interesting in so many ways: the loss of a small local wood and the way Anna links this to the greater loss around the world and how that led to an empathy with indigenous people was very poignant, current and fascinating. How an academic career in languages led to ethnobotany is beyond me but also brilliant. Of course the whole section on birches was of great interest and has meant that the book will be an essential addition (good job its Christmas). On a broader note, these podcasts you are producing are of stella quality and the broad range of subjects reflects the the breadth that bushcraft covers: endurance, skill, knowledge, history, travel etc etc. All so important, especially in a world where so much is focused on greed and gain with little or no thought of the consequences. Keep up the good work it is truly appreciated and I for one value it greatly. Thank you. Excellent, and I didn’t fall asleep at all. lol. Now to find all the uses of the other ‘sacred’ trees like cedar, pine, aspen, and others. The discovery that the Amazon was actually a man-made garden gone wild is not surprising, considering the similar medicinal and food lore that is passed on to totally unrelated tribes. They learned it from some long-lost common source. O, that we could tap into that source as well. This was a very nice conversation with an interesting guest as usual, Paul. Thank you for going to the lengths to produce so many of these podcasts. John Mcphee is one of my favorite writers, though I hadn’t heard of the book you mentioned. If you have the time to read much at all these days I’d much recommend his ’77 book “Coming into the Country” about the (modern) people of Alaska. Birch is close to my heart as a resident of Pennsylvania (Betula lenta is said to be the most common tree in this State, often found growing right out of rocks, where it germinates with comparative ease, it seems). The bark of Betula lenta is not so useful as that of the northern species, but the wood is brilliant– lustrous, actually, and bone hard. We have a wealth of other useful woods at this lattitide, but if it weren’t for the birches what else do you use in the far north when the wood of conifers doesn’t cut it? I imagine there isn’t anything else. Hi Paul! I am not seeing a download button where there usually is one?….. Is it missing? It does seem that the download button is disappearing when a browser is less than a certain width. I will look into what I can do about it. Further to my reply above, I’ve adjusted the form of the player and there should now be a circle with three dots inside it, at the right of the player. This contains social sharing links and a download link. If the circle is not showing, you’ll need to do a hard refresh or clear your page cache in the browser. Thanks again for great content. Sorry for boring technicalities, but as Gordon above I now (for a few episodes) find it very difficult to click through to a download link on my mobile. Am I missing something? Incedently, I believe your analysis and way forward re APK as previously discussed makes a lot of sense. Thanks for it all. Thanks for your comments. The download link is embedded in the player and it is mobile responsive but now that you mention it, what I can see is happening is that as the player becomes smaller and more squashed on a desktop window is reduced in width, the download button disappears! And this is how it also appears on a mobile device. I didn’t create the podcast track player I am using so I have no control over why this is happening but I will look into alternative ways of providing the download link. Thanks for bringing this to my attention. Thanks also for your feedback regarding the APKs. Thank you paul,is so nice hereing you both talk about the birch tree on a scientific level so to speak. It’s of upmost importance to us who find this tree so important to us in the Forrest. Wishing you all the verry best or thisy year. Cheers! Thank you Jim. I’m glad you appreciated the conversation around birch trees.